Papers: 1898-1927. 42 items. Mainly letters received by Phelan while mayor and senator. 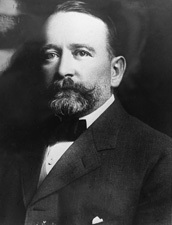 Primarily business and social, including some dealing with his European trips in 1902 and 1904, his writings, and activities with the Bohemian Club. Additional Papers: Correspondence in Ella Sterling Mighels papers, 1870-1934. Papers: 13 items (1897-1921) in various collections. Papers: Correspondence in Adolph Heinrich Joseph Sutro papers, 1856-1968. Finding aid. Papers: Correspondence in Aurelia Reinhardt papers, 1824-1958. Finding aid. Papers: Correspondence in Horace Davis papers, 1865-1915; and David Starr Jordan papers, 1861-1964. Papers: Correspondence in Robert H. Davis papers, 1905-1935. Papers: Ca. 1880-1930. 131 boxes, 29 cartons, 104 volumes. Correspondence, diaries, speeches, statements, writings, legal and financial papers, scrapbooks, and photographs. Topics include attempts to exclude Japanese from California, opposition to prohibition, securing Hetch Hetchy water for San Francisco, business and financial affairs, and interest in art, literature, and music. Finding aid. Additional letters in several collections. Papers: In William Kent family papers, 1768-1961; and Frank Parsons papers, 1888-1908.